Ideal for spring skiing or those who run warm, the Women’s Ski+ Ultralight Over the Calf Icon Fairisle socks are ultralight and uncushioned for maximum breathability and moisture management. Featuring a sculpted, anatomical design, the Ski+ Ultralight socks are made with a stretchy, breathable and odor-resistant blend of merino wool, nylon and LYCRA®. 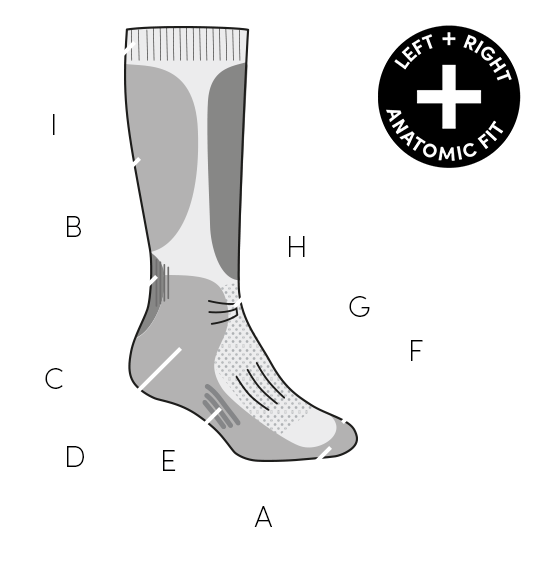 Strategic breathe zones improve ventilation, and the seamless toe closure reduces bulk and prevents blisters.